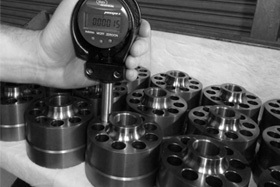 We focus on tight tolerances and make sure each job is done right – the first time. 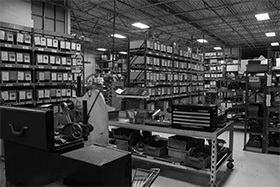 We offer an industry leading warranty to back-up our products. A traditional approach to craftsmanship with cutting-edge technology. Proudly serving the hydraulic industry since 1968. 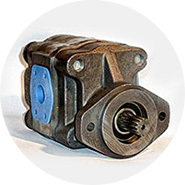 We maintain a large inventory of gear pumps, motors, and parts to ensure we will have what you need when you need it. 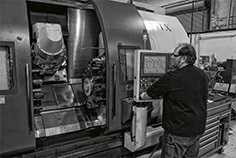 At CRS, we do more than manufacture precision hydraulic replacement components. We do whatever it takes to get that equipment to you when and where you need it. Our components are directly interchangeable with Vickers, Catepillar, Commercial Intertech, Denison, Sauer Sundstrand, Pall and a host of other brands. Know what to look for before you’re beyond the point of no-repair. 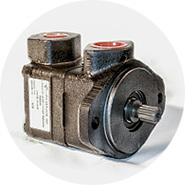 A lot of years have passed since we began servicing the hydraulic industry, and we’ve amassed an impressive amount of knowledge since that time. We maintain a huge inventory, and offer same-day shipping on in-stock orders up to 5:00 p.m. EST, with expedited delivery at no extra charge. Our components are always engineered to your precise specifications, resulting in productive machine uptime and much longer meantime between failures. 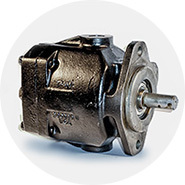 CRS Service, Inc. has been a manufacturer and distributor of high quality replacement pumps and components for the global hydraulic industry since 1968. © 2019 CRS Service, Inc. All Rights Reserved.